It’s Crystal clear….Crystal is meant for us!! 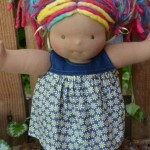 We do not have a rainbow girl and I do love boucle…she is sweet!! Taste the Rainbow! She is stunning & reminds me of my favorite candy! Skittles! Love her hair -rainbow boucle!!!!! Rainbow Boucle! GAH! Cuteness overload! crystal is simply beautiful. Love her. She is a dream doll! Amazing.. The cuteness is killing me! She is amazing, we would love to add her to our family, thanks so much for the chance!! Rainbow boucle… sigh, she is breathtaking! Is that hair gorgous or what????????? Beautiful girl and gorgeous hair! Love her hair! So cute! We would love to have a rainbow girl to squeeze!! OMG THE MOST PERFECT BAMBOLETTA DOLL EVER!!!!!! Everything about this doll is divine. Wow! I wish I had something more sophisticated to say, but I’m speechless! So pretty and fun!! Would love her!! what a sweet face and love that hair! A perect bouncle girl!!! 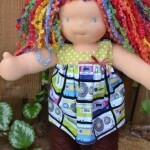 We have been wishing for a rainbow bouncle girl, her hair looks amazingly soft!!!! thanks so much! All this rainbow love is killin’ me! So cute! The one that got away…Crystal would be a dream replacement for Fleur, that I still dream of giving to my dd. She is BEAUTIFUL! I love rainbows!! Rainbow boucle is too cute! My oldest is in love with her! What a dreamy dolly! Surely 2 crystal’s in one house would be AWESOME! I don’t think I commented on her… she is amazing! Amazing dreds! She is lovely! I am happy to have a chance at this gal…she is awesome!!!! Beautiful dred girl! Love her coloring. We would love to call her ours. sweet face + great hair!!! Wow, love her so much!!!! Fingers crossed…. Love her skin color and hair! Pretty girl! She is just gorgeous. I would love the chance to have her. Love this color combo! She is beautiful and I would love to bring her home. Total dream doll! Love her so much. love love love the hair!! fingers crossed! My Macy would love her! Oh She is so colourful! Full of fun! I love these dark tan girls with rainbow hair. Love her, Thanks so much for the chance!! My girls would love to have her come home to us!!! What can I say but stunning..
Our favorite!! 🙂 Would love to give her a new home! Yes, please. We’d love a chance. Gosh, all these pretty dolls, how do you manage to part with them at all? She is gorgeous! Thank you. Dark tan and rainbow, perfect combo! This angel is perfection, her Momma would be so HAPPY to have her live with her! She sleeps with her dollies every night!! thanks!!! Love her, would love for her to live with us! Beautiful! We would love her! Keeping our fingers crossed that this cutie is destined for us! She is perfect! 🙂 Would LOVE to have her come live with us!!! Oh what a birthday present she would be!!!! We <3 her! Well all the others too 🙂 We would love to be her forever home! Heidi is beautiful and I am sure my Heidi would adore this gal!!!!!!!!!!!!!!!!!!! Pink is our favorite color!!!!! lovely dreads and a very cute smile! Oh my goodness! I love her hair!! super cute! Thanks for the opportunity to give her a home! We would love a chance for her. Love her hair!!!! She is perfect for my little one who will be turning three soon! Pink and purple…Olivia’s favourite colours! Would love to add this sweetie to my home of 4 girls who will love her up! Pink is our favorite color! Such a doll! She is to die for! LOVE!!! Absolutely Adorable! Thanks so much for the chance!! She has a sweet little face. Her blue eyes are gorgeous! I love her hair so much!!! Fingers are crossed! PINK and PURPLE hair!?!?!? DD would flip over her!!! We would love her too! My OH My, All these Gorgeous Dreads are TDF…I want a dread baby so much! WOW!! The dreads are gorgeous!! I would love to have Heidi come live in Australia ! Rainbow or pink and purple…both my DD’s unicorns! My daughter (and I) are loving this girl! I would so love a dread girl!!!! OH MY pink and purple perfection!!! Ella LOVES her hair colors! She would be estatic for her!! thanks so much! oh my goodness, she is perfection! Anyone would be so lucky to have this pink lady! My pink-obsessed little girl would LOVE her! Ohhh would love to have her!!! my girls would go nuts over this lady! She is so beautiful and would totally match me. Would I let my grandchildren play with her? hmmmmmmm………………..maaaaaybe! But I sure will be! YAY Friday 13th. Always a lucky day! I love you Heidi! I love her coloring! Her hair is gorgeous!! My daughters would love this for their dolls, thanks for the chance! Thank you for the chance…completely darling! so cute and cozy! My fingers are crossed. adorable as always! Fingers crossed! Thanks for the giveaway! Me me oh me!! This is totally adorable. Would love this! So cute! Such a sweet robe! Thanks for the giveaway! I love that colour! Thanks for the chance to win! How adorable! Thanks for the chance! LOVE these. Love you guys and Thanks!!! We would love this! Thanks!! Love it! You ladies are so creative! would be so cute on Daisie! Ooh … looks comfy! 😉 Enter us, please. You are so generous! Adorable. Thanks for making things so special and fun. Love love love the colour!! You ladies always rock the give aways. Thanks for the chance at Bamboletta goodness! How adorable!!! We love Bamboletta!!! So cute, thanks for the chance! Oh my cuteness! Love it! Thanks for the chance! My daughter loves her bathrobe. To have one for her dolly would be beyond fantastic! Absolutely adorable! Love the color. This would look adorable over the swimsuit we just got. Love it! Oh my gosh, how adorable! Sam would totally rock blue! How precious. I would love this sweet robe. Sweet! This would definitely bring a smile to my daughter’s face. Thanks for the chance. adorable! We’d love to win! Every girl needs a cozy robe to slip into after her bath!! Super cute! Thanks for the chance. Love this. It would be perfect with our blue Bambo swimsuit I got from frocks last month. Oh my, that is so sweet. Thanks for the opportunity. So adorable! 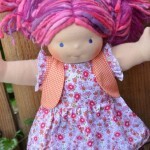 You ladies come up with the cutest doll clothes! So cute! Thanks for the opportunity! Adorable, thanks for the chance! Cute! Perfect for my Dollie on the way! We’d love this for our Anya we won last week. It would be perfect with Oogas. This is fantastic!! We’d love one 🙂 Thanks for the chance! Love this! Our boy would be stylin’ and make the girls jealous! Eek! So cute! Yes please!! Yay! I feel like I can finally enter a mini-giveaway because I finally have a Bamboletta! (well, almost. it’s in transit!) I’ve got my fingers crossed! My little Corrine would love this! Little Ulli would really be able to chilax in this cute robe! Pretty blue! My daughter’s favorite color!!! This is adorable!! Thanks for the chance. Stinkin’ adorable! Let me be lucky just once! So cute!! Abella needs this! Thanks for the chance!! My favorite color!!! My granddaughter would love this for her doll. Thanks for the chance. Ooooh, my sweet bambo would love to lounge around in this!! 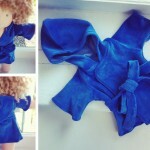 Bamboletta doll clothes are the cutest out there!! This is just darling and what a sweet giveaway!!! LOVE!! So adorable!! Thank you so much for the chance. Would love this to go with the PJs I bought last week! Absolutely beautiful! Perfect for a relaxing spa day or after a nice summer swim! How cute! Thanks for offering this! Looks comfy and cute 🙂 Thank you! Adorable- what a cute idea! 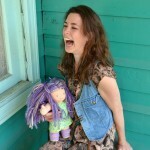 My daughter woul love that for her bamboletta doll! Absolutely adorable! We’d love to win! Boober’s George would look so sweet in a bathrobe! Oh Good Gracious that is CAH-UTE! THanks you for the chance for such cuteness! So cute and practical too! 😉 We would love to have it. Love this…..hope to win it , thank you……..you guys are great ! Gorgeous! We’d love one of these! Oh my gosh she is adorable ! What a wonderful pick! My baby would love her ! She adores purple !